We only have one week of summer left and I am dreading the morning school routine starting once again. I love the summer laid back mornings and not being in a rush to get anywhere. So, with school getting ready to start again I am getting trying to get back into the habit of having quick breakfast options for the kids. 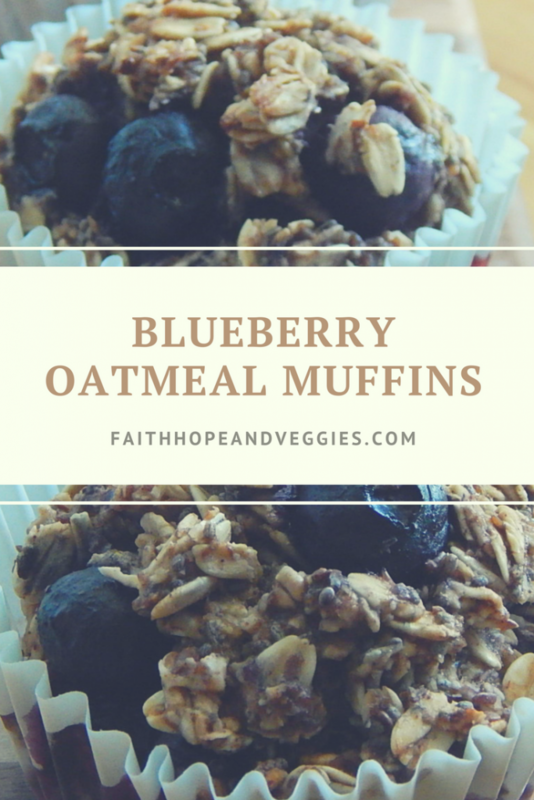 These oatmeal muffins are perfect to grab on the way out the door because some mornings there just isn’t enough time to have the kids sit down and eat. 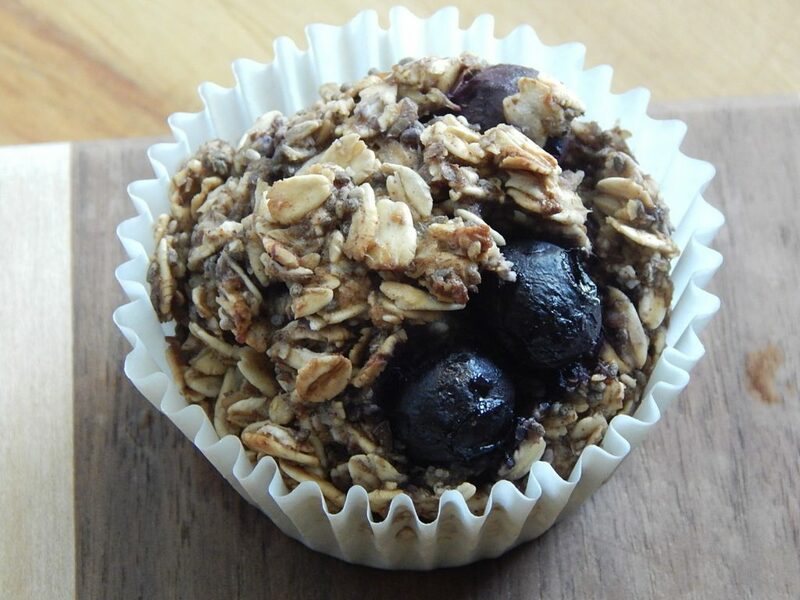 Oatmeal muffins are really easy to make. 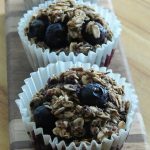 All of the ingredients get mixed up in one bowl and then baked in a muffin pan. 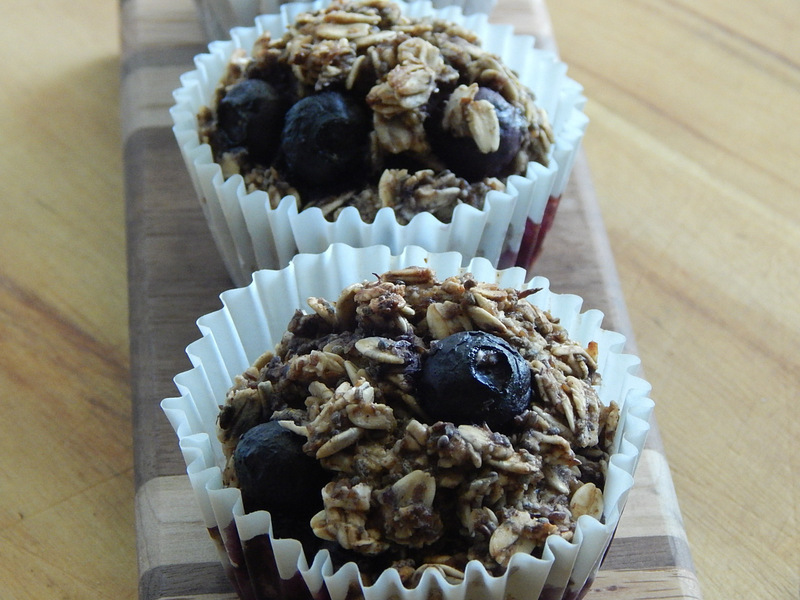 The muffins are full of blueberries, flax and chia seeds for added nutrition. The muffins get sweetness from bananas and are loaded with blueberries. You can also add in some vanilla protein powder. Preheat the oven to 375 degrees. Line a muffin pan with paper liners. In a large bowl mash the bananas until they are almost smooth. Whisk in the sugar (or agave or maple), milk, cinnamon, vanilla, flax, chia and salt. Stir in the oatmeal until everything is combined then gently stir in the blueberries. Fill the muffin liners almost to the top (I use and ice cream scoop) . This recipe usually makes 10 muffins. Bake the muffins for 30 minutes. Remove from the pan and let cool on a rack. Store them in a covered container in the fridge.